​Enobong Samuel Nkanta also known as Eny G Nkanta is a music Artiste, &amp; a movie Producer. Born November 18th &amp; a proud daughter of Eket LGA in Akwa Ibom State, Nigeria. She is versatile in her career as a Song Writer, Singer, a Script Writer &amp; a movie star. Eny G is a graduate of Mass Communication, First student to produced a movie titled "THE DUET" as her final year project, The movie was directed by Finest Uwoma &amp; produced by Eny-G. Her success story though pathetic has helped her to rise from Orphanhood to a record breaker academically n now leaving her career dreams. 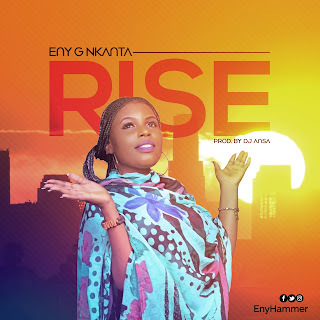 The song RISE is a call to every talented woman &amp; child to rise up and break barrier to make success in life. Anticipate as the hit song drops on Sun,25th March,2018.